The group is doing well and happy to report it is much less smokey today. They are working on crevasse rescue today and will make a summit attempt tomorrow. Thanks to Peter Moore for sending over a couple pics during a brief period of cell reception! 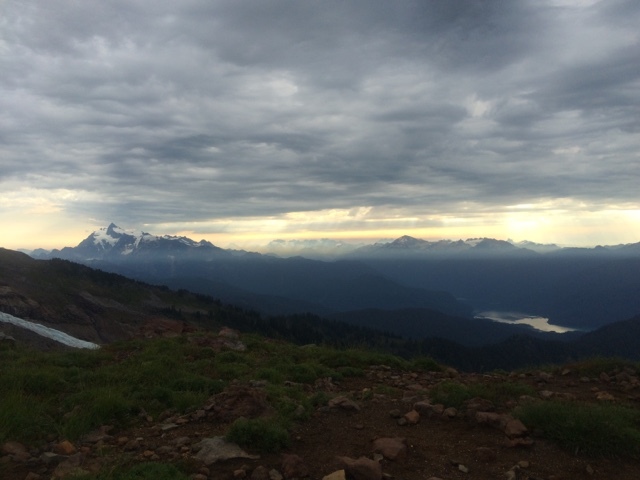 August 10th Emmons Climb Summits! 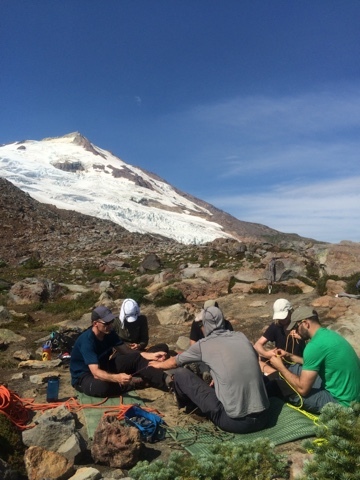 August 8-20th 13-day Course Calls from Shuksan Summit!